So I just survived my first ever tornado! Crazy right??? I have never before in my life witnessed a tornado and this thing was massive! Here is a picture of half the tornado taken at T.G.I. Friday’s in Hattiesburg, Miss. 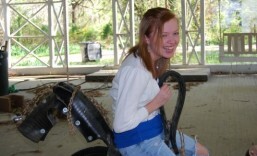 That is one of my co-workers, Bethany, in the picture. 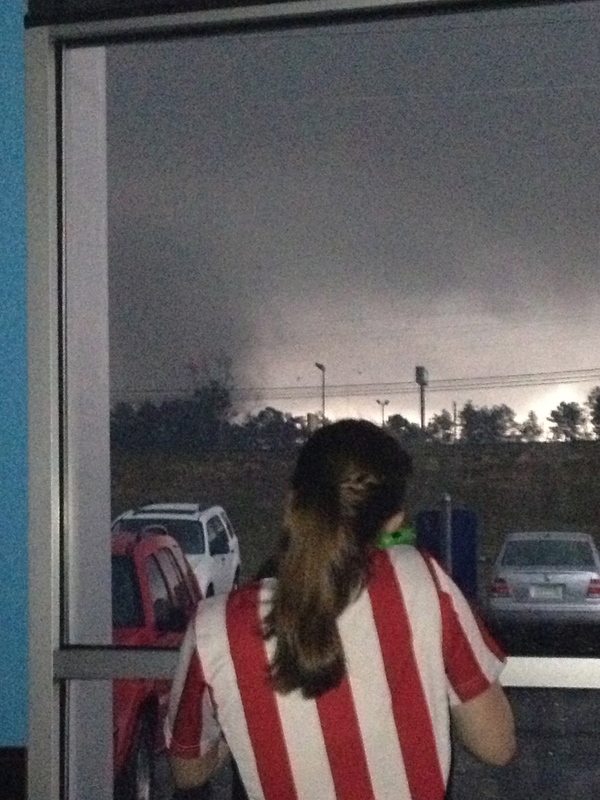 This thing was massive (later announced as an EF4 tornado)…you can only see half of it because it was moving so fast. After I snapped this picture, I went straight to the freezer with the few guests that were there. I was not about to get hit by one. Thankfully, it was on the other side of the highway though. 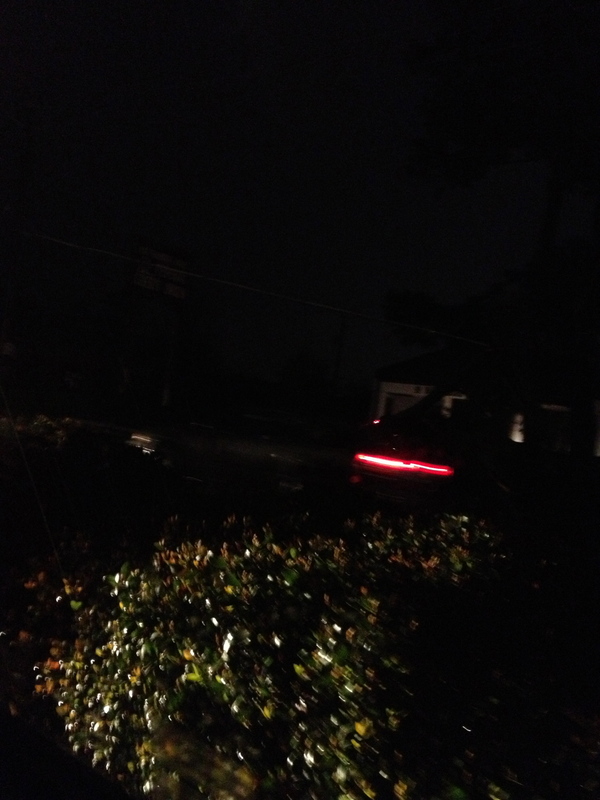 On my drive back home, I witnessed a bunch of debris on the roads and trees were down. Here are a few of those pictures (sorry they are a little blurry…I was taking them from my car…don’t worry, I was stopped while taking the pictures). Here is a tree down on Hardy Street, blocking the left lane. 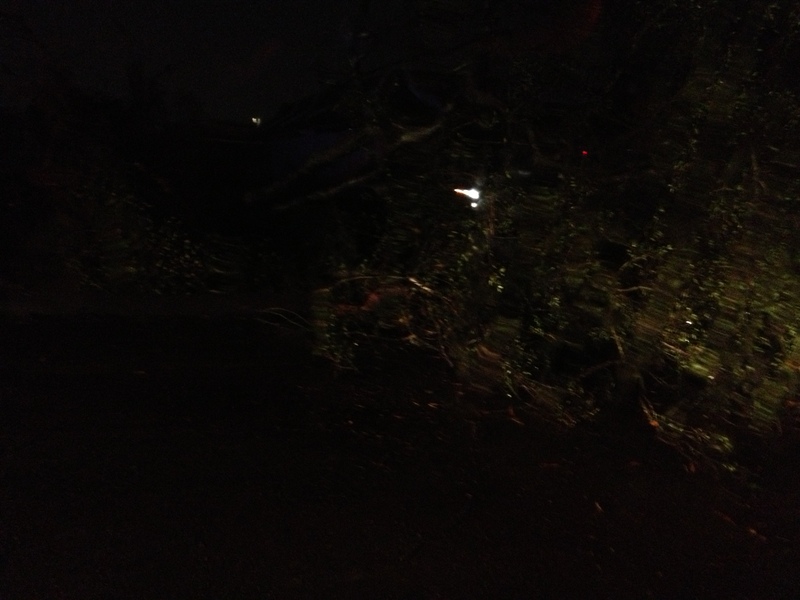 Sorry it is so dark, but you can kinda tell that the tree was uprooted completely. 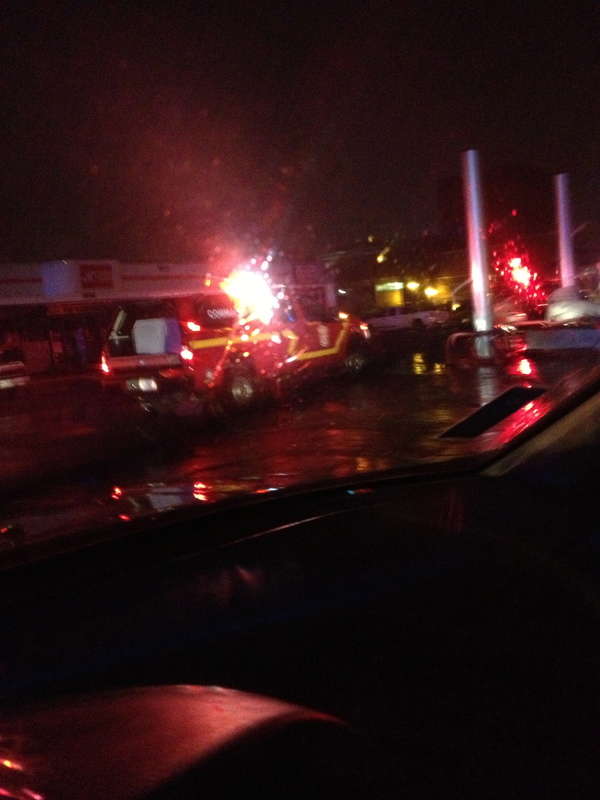 After I witnessed this tree down, I saw that the Jr. Food Mart gas station was destroyed. This is the intersection at the gas station. 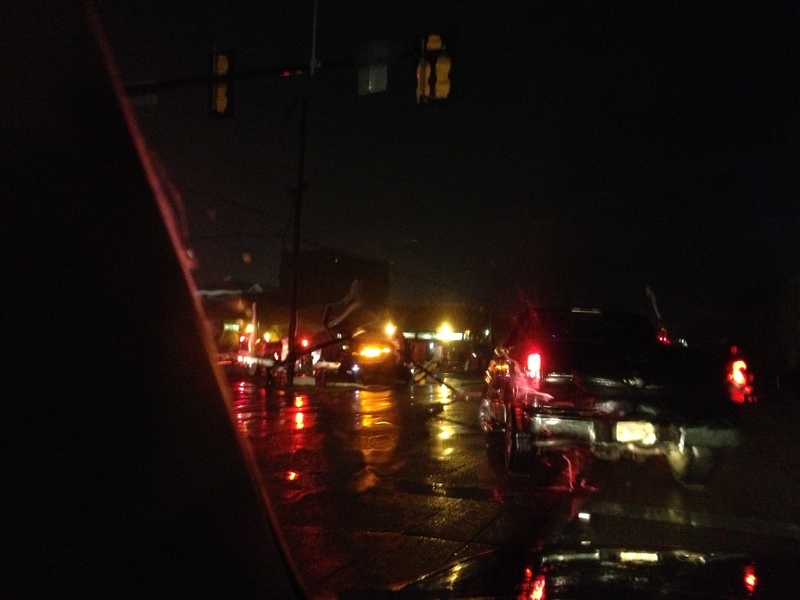 The light posts were completely destroyed, power was out everywhere. This is also right next to the Southern Miss Campus, where I go to school. 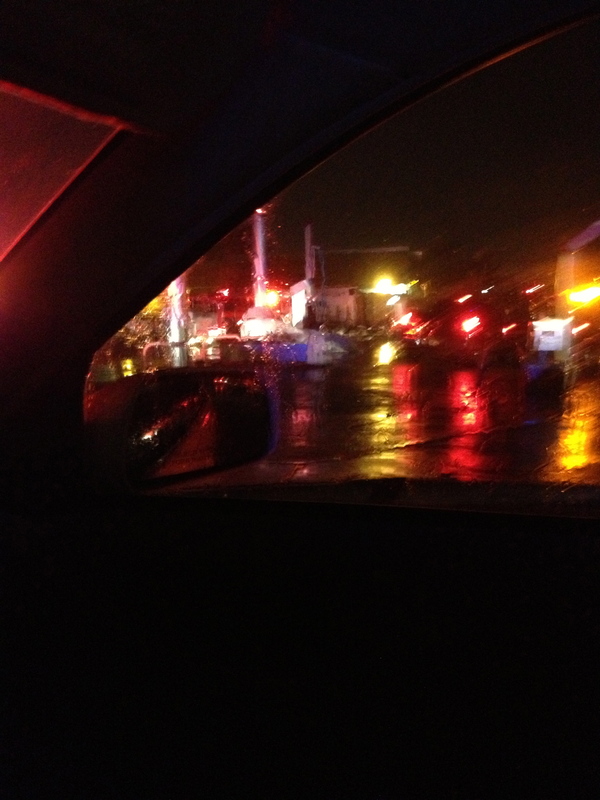 Here is a really blurry one, but it is of the gas station. You can kinda see where the pumps used to be. 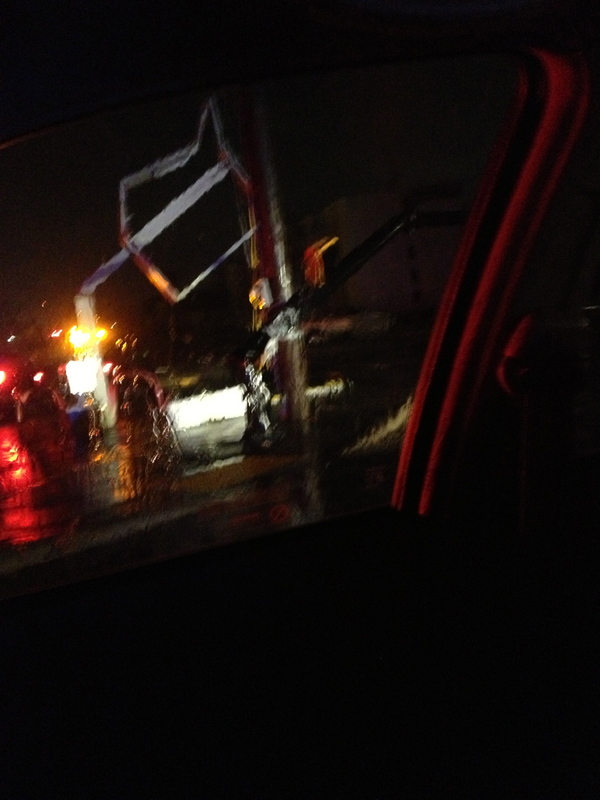 I think this used to be a light post… You can see that it is all bent out of shape from the tornado. The “what used to be gas pumps” photo. You can see the fire trucks and police cars are there. So sorry the pictures are blurry. I was taking them from my iPhone while sitting in my car. But hey, I survived a tornando with no damage done to my apartment complex, or my car, or my work place and lived to tell the tale. I just hope I never have to go through this again. It was scary then and I’m sure it will be scary again. Please just keep Hattiesburg in your thoughts and prayers. Thank you.